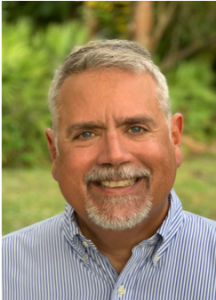 Orlando, FL – January 8, 2019 –Hapi, a transformative new data streaming, integration and enrichment platform designed to solve the hotel industry’s rapidly expanding data integration challenges, announced today the appointment of Brad More as Chief Architect for the company. More is a seasoned industry leader with a profound knowledge of hospitality technology and innovation developed over more than two decades. In his new role as Chief Architect for Hapi, he will be responsible for designingand implementing client solution architecture that best leverages Hapi’s unique integration and data management capabilities, while engaging internally to further broaden the Hapi platform’s functionality, flexibility, and robustness. At the start of his career, More was a Naval Aviator who successfully pivoted to technology and software development in the late ‘90s, joining Micros Systems Inc. as Development Director. He’s been credited as an industry pioneer, having created the first full two-way reservation interface between a hotel CRS and PMS. More has had myriad other successes throughout his career, including founding and serving as CEO of Theodatus LLC, which he later successfully exited with the sale to Vegas.com. He also co-founded Atri Leo LLC, a boutique software development company focused on practical application of technology for the hospitality industry. Most recently, he served as Senior Principal Solution Architect for Infor, where he managed the integration assets and efforts on one of the company’s largest single engagements. In addition to his success in the hotel technology vendor sector, More has also served on the hotelier side, where he was the Director of Application Development for Hyatt Hotels Corporation. Based in Naples, Florida, More earned a Bachelor of Science in Engineering from the United States Naval Academy and a Master of Business Administration specializing in Aviation from Embry-Riddle Aeronautical University. He currently holds AWS Certifications as a Solutions Architect, DevOps Engineer, Developer, SysOps Administrator and Cloud Practitioner. To learn more about the Hapi data streaming and integration platform, please visit hapicloud.io. About Hapi |Hapiis a disruptive data streaming, integration and enrichment platform designed to solve the hotel industry’s rapidly expanding data management challenges, while also addressing the traditionally high integration costs and lack of vendor alignment that inhibits innovation and efficiency. Developed by experienced hotel technology leaders, the secure, scalable cloud-based Hapi data streaming platform is an open source model based on the same proven technology that runs some of the world’s largest social media and business services, to which multiple layers of encryption, authentication and governance are added. With headquarters in Orlando, Florida, Hapi provides services worldwide. For more information, please visit hapicloud.ioor follow us on LinkedInand Twitter.